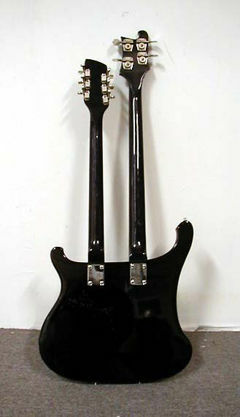 This model is a doubleneck combination electric bass and electric twelve string. Each neck has two pickups. 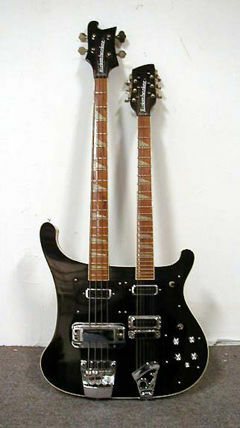 Solid body with two set necks. Deluxe features.